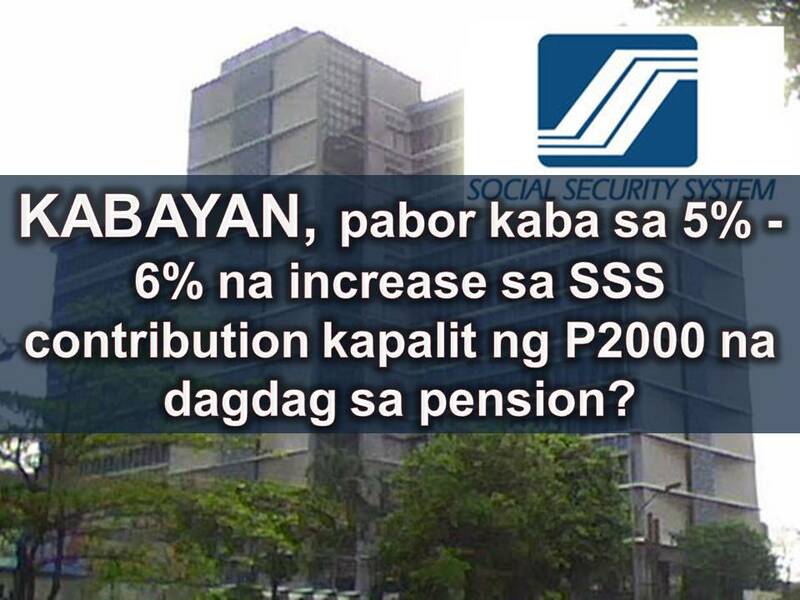 THE Social Security System (SSS) is recommending a five percent to six percent in member's contribution if the proposed P2,000 pension hike is approved by the Congress. 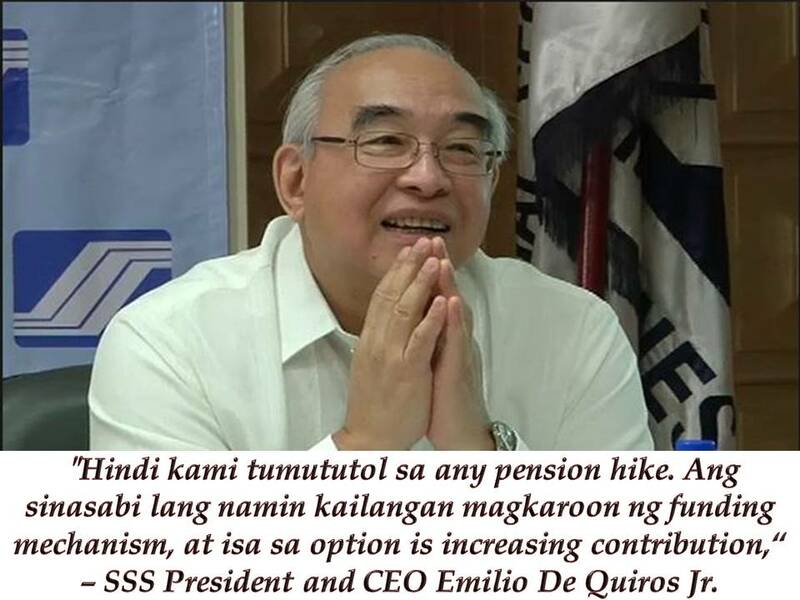 According to SSS President and CEO Emilio De Quiros Jr., they are not against pension hike but it is important to have funding mechanism and one option is increasing contribution. But De Quiros explained that SSS cannot order an increase and it is just a recommendation. 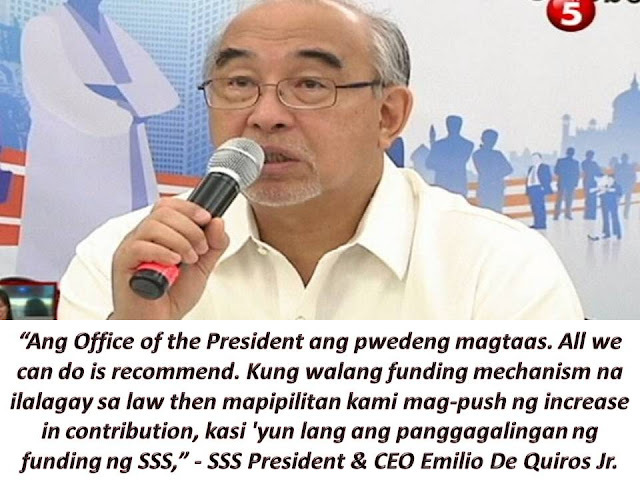 De Quiros added, that if funding mechanism cannot put into law, then they will push for the increase in contribution because it is the only source of SSS fund. 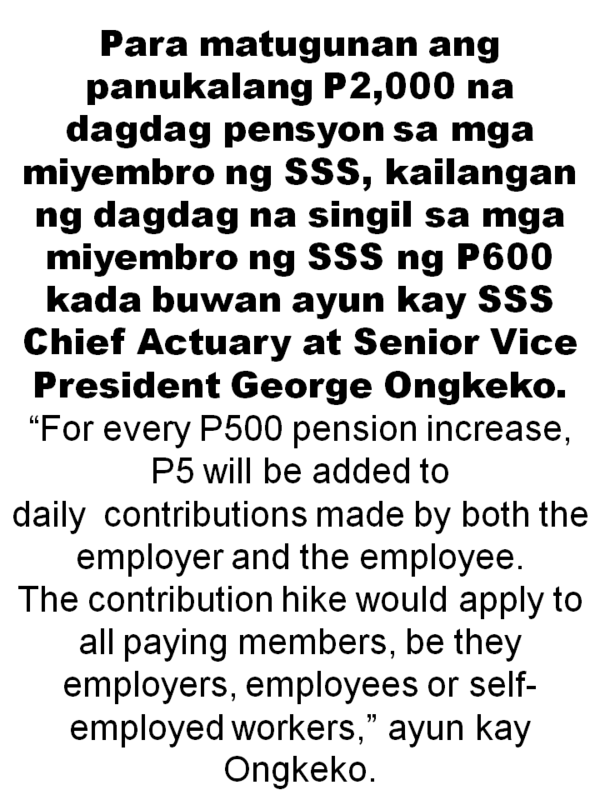 Last January, former President Benigno Aquino III has refused to sign a Congress-approved measure seeking a P2,000 across-the-board increase in the SSS monthly pension.